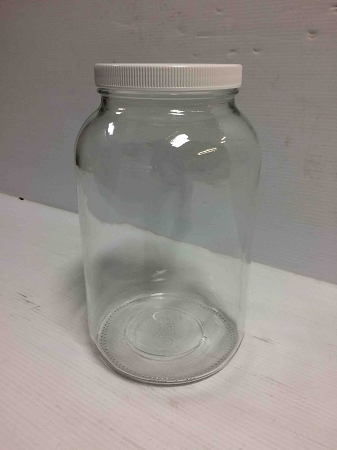 Add a 1 Gallon Wide-Mouth Glass Jar? Add a 1 Gallon Wide-Mouth Glass Jar? No thanks. I have my own. Yes please. 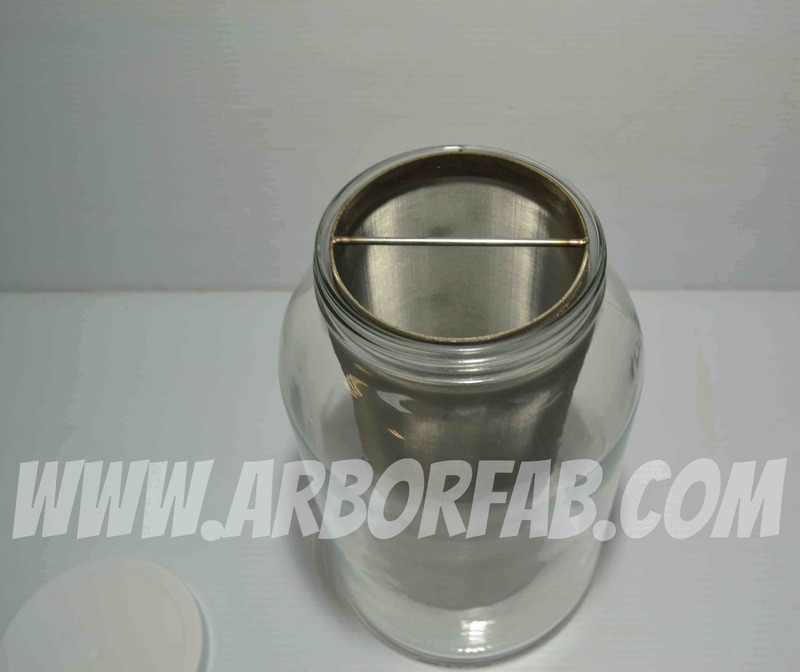 This filter is to be used with a 1 Gallon Wide Mouth Glass Jar to make cold brew coffee. How much coffee you can produce is a factor of how much coffee grounds you use to brew and the displacement created by the coffee and the filter itself. The filter itself displaces very little of the liquid. While we are by no means baristas, we talk to them all the time and they have recommended using a 1:1 gallon to pound ratio. Given that the intended vessel is 1 gallon in capacity and the coffee will displace some of this liquid, we would recommend using less than 1 pound of coffee. Keep in mind that you are creating a concentrated coffee meant to be poured over ice or diluted. You can also add hot water for traditional coffee. Also bear in mind that, just as in brewing beer, personal preferences and differing opinions will dictate your brew. 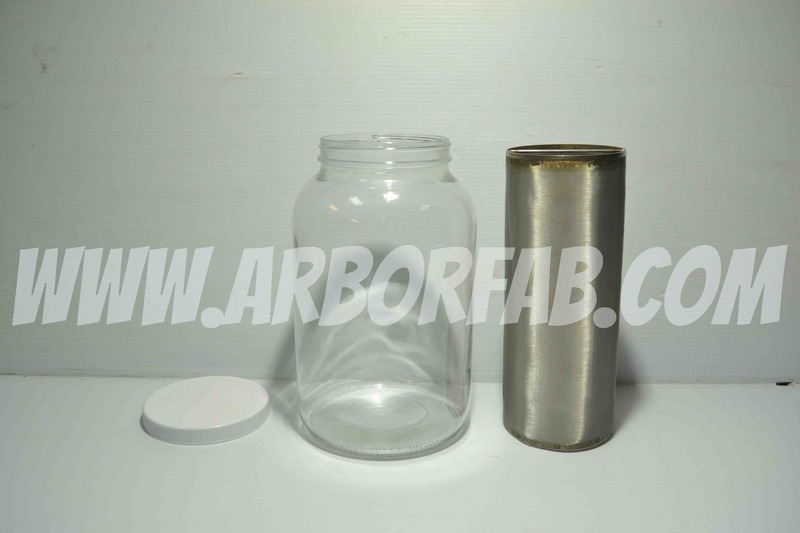 We sell this jar as an OPTION to go with the filter. Many shops specializing in homebrew, kombucha, tea, or vinegar making carry it as well. 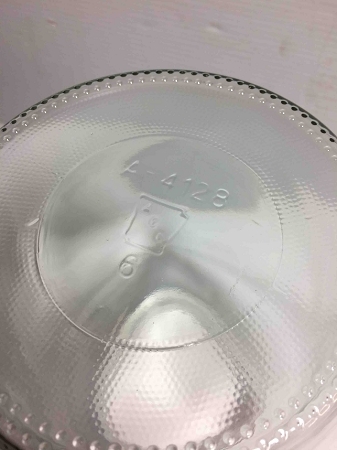 It has a marking of A-4128 on the bottom. The glass itself is food grade with a plastic BPA-free lid. The jar is 10 ½” in height and 6" at the base. The mouth of the jar measures approximately 4 1/8” wide. The filter itself is made with 74 micron mesh. This item is perfect for creating a cold brewed coffee to add to a beer. It's also currently being tested to create tinctures so the utilization goes beyond just coffee. Infuse your own liquid or alcohol just as easily! We'd love to hear feedback from you on this new item. Contact us here!